Start-Up Chile is a program of the Chilean Government, created by the Ministry of Economy, executed by CORFO via InnovaChile, that seeks to attract foreign, high-potential entrepreneurs to come to Chile to bootstrap their businesses with the end goal of converting Chile into the innovation and entrepreneurial hub of Latin America. In 2010, the program brought 25 teams from all corners of the world and provided them a $40,000 subsidy (no equity) to participate for six months, and a temporary 1-year visa to develop their projects along with access to the most potent social and capital networks in the country. These selected entrepreneurs approved an admission process conducted by Silicon Valley experts and a Chilean Innovation board that focuses ardently on global mindsets and worldwide potential. Their projects mostly fit into the tech genre, but the variety is wide with teams specializing in energy, e-commerce, social endeavors, and design. Of all required criteria, it is essential that the chosen entrepreneurs work in a global mindset, believing that the route to success is via expansion not isolation. The 2011 application process will allow for further arrivals of high-potential entrepreneurs– the goal being 300 participants in the upcoming year, with the end hope of having 1000 bootstrappers participate by the culmination of 2014. All of the Start-Up Chile entrepreneurs will be measured, during their time in the program, by various indicators including participation in local events, presenting workshops on their particular expertise, raising local or international capital, and contracting talent. Start-Up Chile is gaining impressive international recognition ranging from Forbes to Bloomberg to TechCrunch and it is certain that as each entrepreneur progresses and as more and more are added to the group of participants, it will become the international standard for state-spurred entrepreneurship and innovation. Start-Up Chile is supported by the Ministry of Foreign Affairs, Ministry of Internal Affairs and the Ministry of Justice. 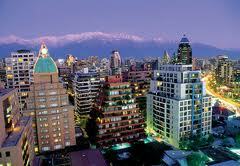 Photo: The careful balance of Modern and Traditional architecture is reflected in the spirit of the people of Chile.